Mixing rate: 125g of powder mixed with 875ml of water to make 1 litre of mixed milk. Add two thirds (⅔) of the hot clean water (55°C) into a clean bucket. Weigh the powder and add it to the bucket of hot clean water. Mix thoroughly with a whisk until smooth and in suspension. Add remaining one third (⅓) of cool clean water to make up to the required total litres and mix thoroughly. 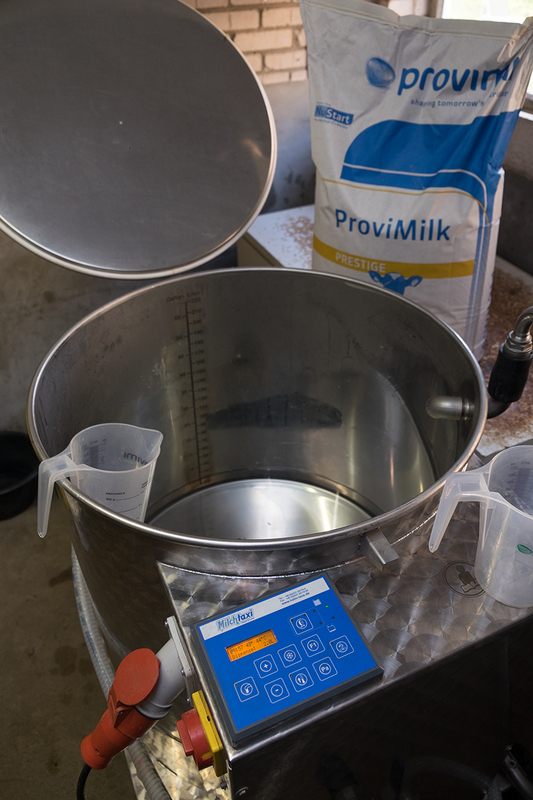 Check the temperature of the mixed milk using a thermometer and feed required amount to the calf immediately. 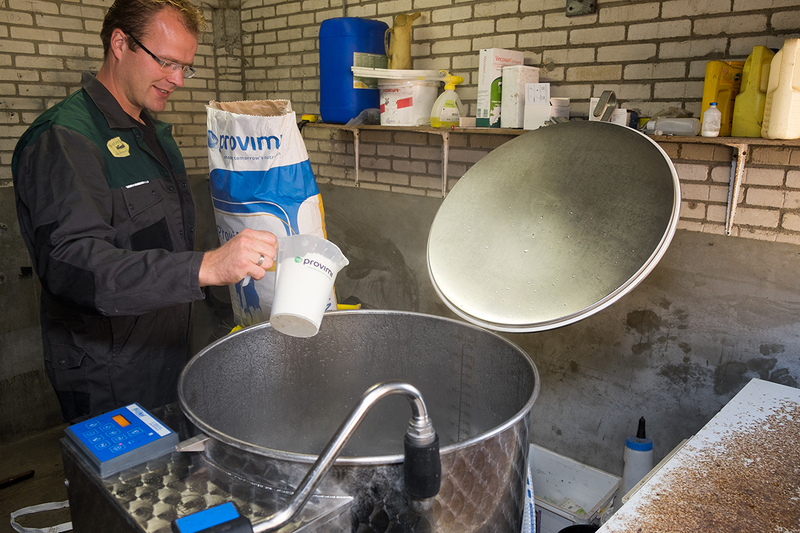 Once a feeding concentration has been chosen, keep it consistent throughout the rearing period. In addition to milk replacer, always ensure calves have ad lib access to starter feed, water and roughage.